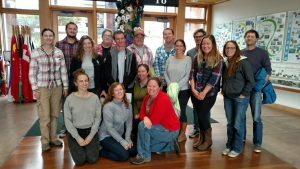 CCWG staff has several full time staff, but also works with other research affiliates, faculty, and students at Moss Landing Marine Labs and CSUMB. CCWG also is a host site for the Americorps and Conservation Coprs Watershed Stewards Program interns. 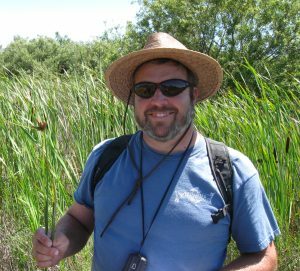 Ross Clark has 20 years of experience drafting and implementing California’s Nonpoint Source Control Program both as a university researcher and as state agency staff. He is currently charged with developing regional programs to improve the restoration and management of state wetland resources and implementing programs to reduce nutrient loading to Central Coast surface waters. Ross manages a team of field scientists supporting the development and implementation of the State’s wetland monitoring program and the integration of wetland restoration activities into regional and State water quality and land use planning efforts. Since 2008 he has also been tasked with developing the City of Santa Cruz strategic plan to reduce greenhouse gas emissions and identify key threats from, and appropriate responses to climate change and sea level rise. 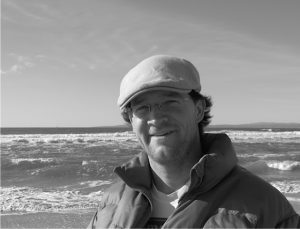 Kevin O’Connor is an ecologist specializing in wetland restoration, monitoring and assessment, and is the Project Manager for CCWG. He received his Bachelors degree in Biology and Environmental Studies from UC Santa Cruz in 2004 and his Masters degree in Biology from San Diego State University in 2007 where he investigated the effects of kelp forest disturbance on kelp associated fishes on Santa Catalina Island. Kevin joined CCWG in December 2007 and is currently involved with wetland and upland restoration in the Moro Cojo Slough, the development of a rapid assessment method (CRAM) for seasonally tidal estuaries and depressional systems, and participation with the California Wetlands Monitoring Workgroup. He also serves as one of the central coast liaisons for the Level 2 Committee of the CWMW. Cara Clark is a wetland scientist specializing in monitoring and restoration of wetland systems. She graduated from CSU Monterey Bay with an M.S. in Coastal and Watershed Science and Policy in 2008. Her M.S. research focused on stream restoration in the Central Coast of California. She received a B.S. (Honors) in Earth Science with a focus in Environmental Geology from UC Santa Cruz in 2002. 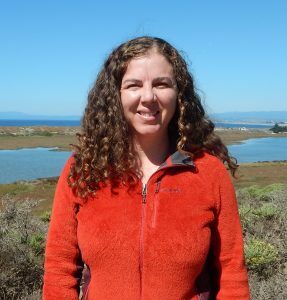 She has worked at Moss Landing Marine Labs since 2003 restoring wetlands and dunes and developing a wetland rapid assessment method (CRAM). She was the lead for California's participation in the 2011 National Wetland Condition Assessment. 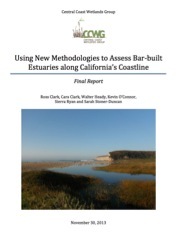 Current research using CRAM includes the development of modules for wet meadows, depressional wetlands, vernal pools, bar-built estuaries, and arid streams. 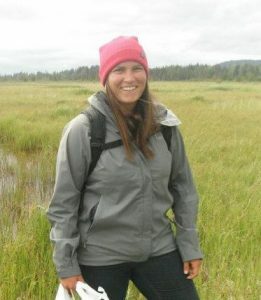 Sarah Stoner-Duncan joined CCWG in 2011 and is excited to be spending her days researching and hanging out in wetlands. She is a CRAM practitioner and journeyman trainer and assists with various other CCWG projects and tasks such as wetland assessments, grant writing, and graphic design. Previously, she spent several years working in the San Francisco Bay as part of a project studying the effects of mercury contamination on waterbirds. She has also worked on conservation projects in Mauritius and Guatemala. 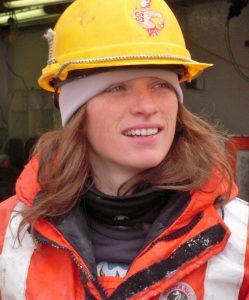 Sarah received her BA in Environmental Studies from UC Santa Cruz in 2004 and her MS in Environmental Studies from Antioch University New England in 2010, where she studied Conservation Biology and Environmental Education and how these two disciplines can intersect, meeting the goals of both conservation and education. Besides wetland ecology, Sarah is interested in community based conservation, curriculum development, graphic design, living by the ocean, and visiting the mountains for amazing powder days. 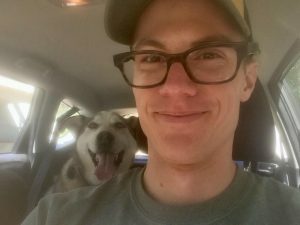 Charlie has a background in geology and geomorphology and specializes in geospatial analyses of marine and terrestrial environments. 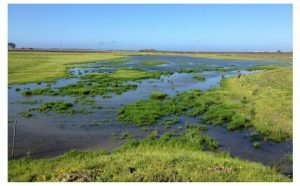 His research has involved the use of a terrestrial laser scanner (TLS) to identify and measure fine-scale changes of tidal creek banks and mudflats in Elkhorn Slough. 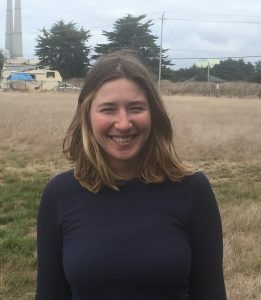 Charlie serves as the GIS Specialist with the Elkhorn Slough Foundation and Research Reserve and as lead project manager at the Center for Habitat Studies in Moss Landing. He began work with CCWG in 2011 and is currently working on identifying historic wetland habitats and assessing riparian health via remote sensing techniques. Jason earned his BS in environmental science from UC Riverside in 2005 with a focus on soil and water chemistry. From 2005 to 2010, he work as a staff scientist for an environmental consulting firm where he identified, monitored, and remediated soil and groundwater contamination. 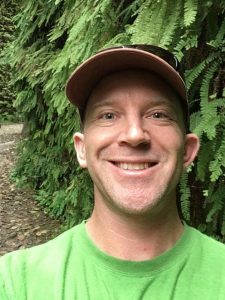 In 2010 he switched gears and began his MS in applied marine ecology at CSU Monterey Bay. His education focused on GIS analysis, continental shelf ecology, and physical oceanography. 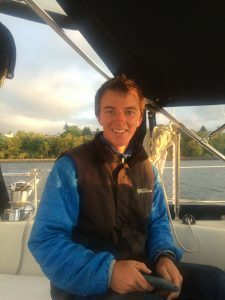 Earning his MS in June 2012, he went on to intern as a GIS analyst for the Central and Northern California Ocean Observing System, as well as the Association of Monterey Bay Area Governments. 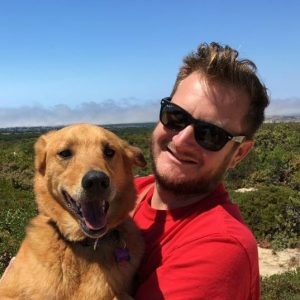 Since September 2013, he has been performing a variety of tasks with Moss Landing Marine Labs including: instrument technician, programmer, database manager, GIS analyst, website developer, and physical oceanographer. Kim is a marine chemist whose research focuses on groundwater discharge, nutrient pollution and eutrophication in coastal environments. 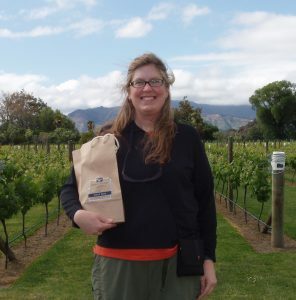 Kim started working at Moss Landing Marine Labs and CCWG in 2014. She has been involved in numerous research projects investigating the role of groundwater in delivering nutrients to estuarine ecosystems, nutrient cycling and budgets in sediments and surface waters, and anthropogenic impacts on nutrient loading. After completing a Bachelor's of Science in Marine Biology and a Master's of Science in Marine Science, I made my way to benthic infauna of California via some stops in seagrasses of North Carolina and Florida and tidal creek communities of South Carolina. I'm interested in disturbance ecology, from erosion and habitat loss in benthic infaunal communities to iceberg scour in Antarctic sponge ecosystems. I also work in restoration, where my tasks range from research and permit writing to planting and monitoring coastal wetland and terrestrial flora. When I'm not analyzing data I can often be found knitting or weaving with naturally dyed fibers.